Do I Need a Reason to Get Divorced? If you were stuck in a lousy marriage at the beginning of the 20th century, your chances of getting a divorce weren’t so great, especially if you were a woman. Back in those days, you couldn’t just tell a court that you and your husband had grown apart.You had to provide a specific and acceptable reason for seeking the divorce. Among your options were: adultery, impotence, extreme cruelty, desertion, and habitual intemperance, among others. Unsurprisingly, divorce was a rarity in those days, and women who were able to secure one were often ostracized by the community. As a result, many men and women stayed in lifelong unhappy marriages. You had to provide a specific and acceptable reason for seeking the divorce. Among your options were: adultery, impotence, extreme cruelty, desertion, and habitual intemperance, among others. Unsurprisingly, divorce was a rarity in those days, and women who were able to secure one were often ostracized by the community. As a result, many men and women stayed in lifelong unhappy marriages. In 1970, California changed the divorce landscape in the United States by becoming the first state to pass a law that allowed for a “no-fault” divorce. Now, men and women in California didn’t have to prove that their spouse was cruel, unfaithful, or a hopeless alcoholic in order to dissolve a marriage. They could simply cite “irreconcilable differences” (in some states this is known as “irretrievable breakdown,” “incompatible of temperament,” or “incompatibility”) and move on with their lives. As of 2010, all 50 states offered couples the ability to seek a no-fault divorce. In certain states, such as Louisiana, couples must live apart for a specific period of time before they can seek a no-fault divorce. 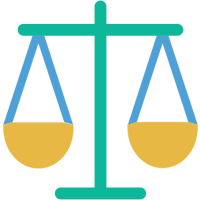 No-fault divorces are now the most common type of divorce in the United States. It has played a major role in the dramatic increase in divorce rates between the early 20th century and the present day. This may not seem like a good thing on the surface, but if we think about all the people who were trapped in loveless marriages in the past and unable to get out, the freedom to easily break up an unhappy marriage can create a higher quality of life for both individuals. A no-fault divorce can also save couples money, especially if they choose divorce mediation. If you choose to seek a fault divorce, you will be required to go to court to present evidence that proves your partner’s behavior meets the requirements of a fault divorce. This may require you to hire investigators. If your partner fights your claims, you could rack up significant legal bills. If you believe that you can prove abuse, in some states you may want to consider a fault divorce as a way to increase the likelihood of earning full custody of your children. Should You Choose a No-Fault Divorce? 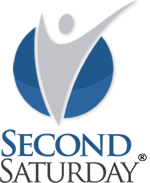 Another option is to attend a local Second Saturday Workshop near you. 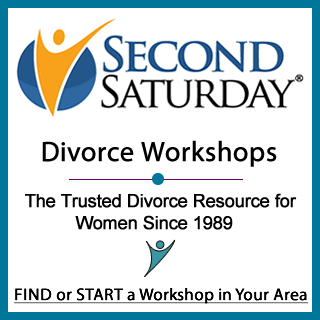 The workshops include presentations by experts, including divorce attorneys, financial advisors, and counselors who can address the financial, emotional, and legal aspects of divorce. I have a whopper of a situation. My husband was married, without my knowiledge, until 4 days before our wedding. I found out information after he left me when I became ill. I had means, bought our condo, asked for pre-nup he said wasn’t necessary, gave up my paid bmw to buy a car in his name .I insisted he get a life ins. Policy. I had him put mortgage in his name. I became seriously sick and he left. Back to pension, found out he signed it over to previous wife. The pensions are prior to their marriage. We used them to live on. He has moved in with a widow that doesn’t know he’s married. I still see him occasionally. I am covered by medicare and his health insurance which he claims continues if he dies. He lied about everthing. I grilled him but nothing is true. 1. Can I fight for shared pension since I receive $850/abd month from his prior wife. I need the pension to live on. 3. Does he get a military pension if he’s not disabled. I used to get VA glasses. 4. The woman he lives with gets a military pension. What do I do. If anything. If he earned a pension during your marriage, you may be entitled to a portion of that. If he had enough service credits, he may be eligible for a military pension. I receive $859/ month from him. The wife prior to me does not know. He was in Navy Vietnam but not disabled. There are other corrections to clarify. Should have read .